Today we’re going to guide you on how to hide WhatsApp videos and pictures from your gallery without using any third party app. WhatsApp is a social media messaging app that hit over 1 billion monthly users making it the most popular social media app preceding facebook. With the WhatsApp social media, you can be able to converse with your friends and recipient. If you’re a regular WhatsApp user, you probably would have noticed that WhatsApp allows you to share and receive videos, pictures, messages and locations. Now it kinda seems inconvenient when you’re connected to the internet or when you’re on WiFi and WhatsApp automatically download all the images and video sent to you by your recipients when you actually don’t want it to show or leave a trace on your phone gallery. Also Read: Finally WhatsApp Video Call Is Rolling Out On Android Platform. Once the WhatsApp images and video are downloaded automatically, you will notice that WhatsApp media folder is auto listed/created in your gallery ranging from WhatsApp video, WhatsApp images, WhatsApp profile picture etc. 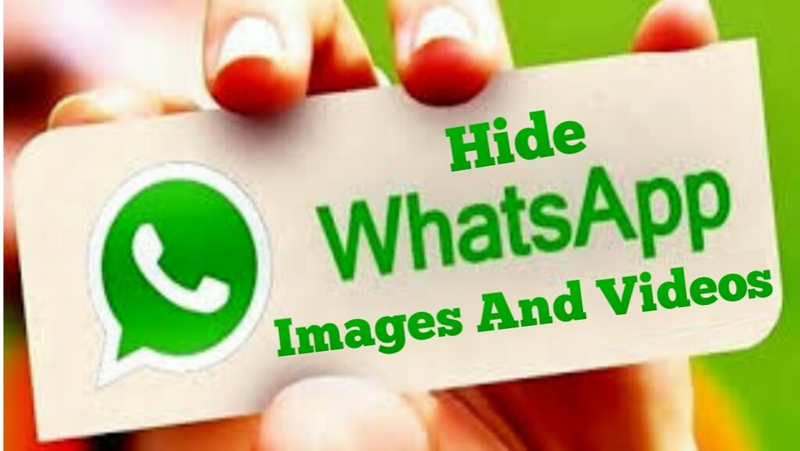 So if you don’t want these WhatsApp folder to be listed on your device gallery for reasons best known to you, then follow below steps to learn how to hide WhatsApp images and video from your gallery. In this article, we’re going to achieve our aim using your default file manager and es file explorer. So whichever step you wish to follow, its up to you since both method was tested and found working perfectly. 1. Locate and open your phone default file manager from the app drawer. 2. Navigate and locate the WhatsApp folder which should be at the bottom of your file manager folder list. I.e if its been arranged in alphabetical order. 3. Tap to open the folder, now you will see three other folders namely backup, databases, media. Ignore them and click on the media folder. 4. On the next page, you will see all the folders of your WhatsApp contents ranging from videos to images and others. 5. Now rename the folder WhatsApp images to “.WhatsApp images”. (Remove the quotation marks). To hide the WhatsApp image from your phone gallery. 6. Also rename the folder WhatsApp video to “. WhatsApp video”. (Remove the quotation marks). To hide the WhatsApp video from your phone gallery. 7. Now goto settings>App manager and locate the WhatsApp application, tap on it and clear cache. That’s it, you can open your phone gallery to see it working perfectly. Also if you which for other WhatsApp content not to show in your phone gallery, just rename them simultaneously as directed above. To disable this trick, just rename the app to its default name and save. 1. Download and install the es file explorer for android smartphones from here. 2. Locate and open the installed app from your App drawer, then find the WhatsApp folder . 3. Click on it to open, and you will see three folders as usual, Backups, Database and media. 4. Now click on media, tap and hold on your desired media folder you which to hide, click on the 3 dotted icon and select hide. Now you won’t see this folder on your gallery again. 5. If you want to revert or bring back the folder you hide before, go to the homepage of the es file explorer, swipe your screen from the left side. Now from the box that appear, locate and toggle the “Show hidden files”. Restart your Phone and you will see the folder you hide before on your gallery. Guess we’re here again, so with the above step, you can efficiently hide your WhatsApp videos and images from your phone gallery and save yourself from unforseen or embarrassing situations.